Mac Bulk SMS Software - Professional enables you to compose and send bulk messages to multiple contact numbers via using GSM or Android based mobile phones connected with Mac OS X installed system. You can deliver thousands of text messages that contain Unicode characters over world wide locations. 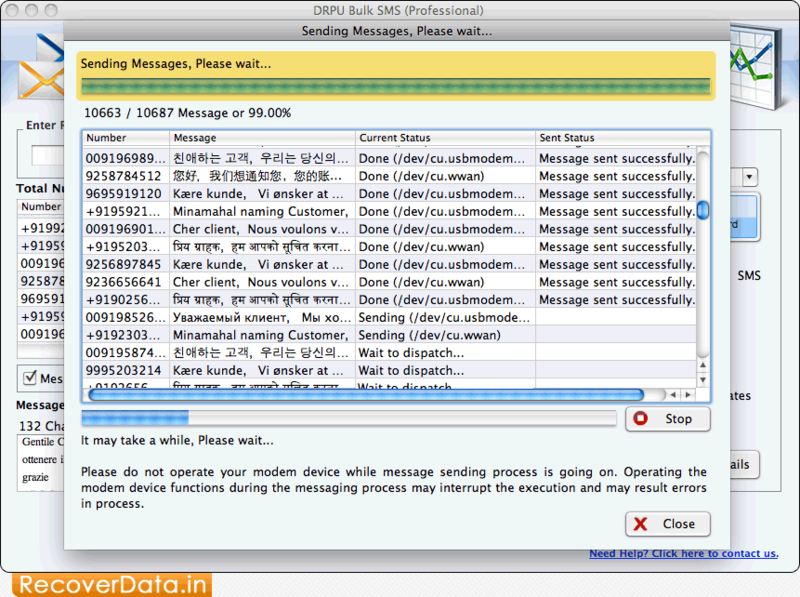 SMS Gateway program for Mac allows you to save sent text messages in .txt or .html file format for future reference. Mac Bulk SMS program provides Exclusion List Wizard option to maintain the list of contacts or groups during message sending process. Send notifications as well as standard messages over global mobile network. 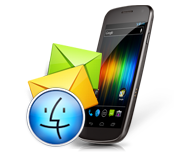 Software supports all major GSM or Android technology based mobile phones. Exclusion List Wizard option to maintain the list of contact numbers for SMS sending procedure. Provides facility to save sent text messages in .txt or .html file format. Supports Non English or Unicode characters to send SMS in different languages. Provides option to skip duplicate phone number entries.